The basic hardware design pattern of the iPhone has remained fairly consistent since 2007. The current-generation iPhone is visually miles ahead from the original, but the actual physical makeup of the hardware carries all the general pieces of the debuting device – such as the volume, sleep / wake, Home button, albeit in different locations. With that said, things could all change as we move into the future, as it’s being reported that Apple is internally working on a number of future iPhone designs that would see the iconic Home button being removed for good. According to a report published on Digitimes, Apple is working internally on developing technology and design methodologies that will see it capable of doing away with the physical Home button on any future iPhone. The rumored internal development of touch and display driver integration (TDDI) will allow Apple to free up space used by the Home button by integrating its Touch ID fingerprint sensor into what would essentially be a full device-length display. The integrated design would fit into future iPhone designs – models with ultra-thin and ultra-narrow displays, and with a whole plane design eliminating the Home button. The report also suggests that Apple’s plan to develop its own future technology of this type could have a serious impact on the global semiconductor industry, much akin to the impact that was felt when the Cupertino company started to develop its own CPUs for use within its range of mobile devices. As is always the case with reports such as these that cite unknown sources from specific industries, it’s worth taking them with a pinch of salt, until or unless more proof arises in the near future. 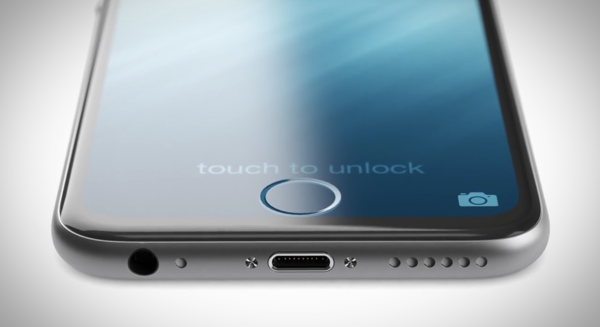 However, an ultra-thin iPhone with fingerprint detection integrated into the display? Sign us up for that. No home button, and force touch to go “home” sounds nice, but in general, the physical buttons allow emergency resets and other features that can be utilized on the lowest level firmware, so I doubt they will go away any time soon.